Joseph Soloman was a justice of the peace (JP). He was a member of the Newtown School of Arts and a keen cricketer, athlete and billiard player. He lobbied to have the St Stephens Church cemetery turned into park lands. 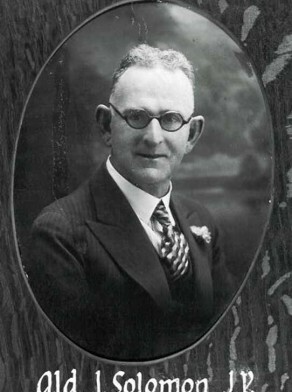 Joseph Soloman was an alderman on Newtown Council in 1920-44, representing O’Connell Ward. He replaced Cuthbertson on 27 November 1920. He was mayor in 1929 and deputy mayor in 1944.